​Call our sales team today at (781) 253-1302​ to discuss your practice's specific needs in greater detail or to arrange an in-person meeting. Or, use the form below to contact us via email. We will respond to your inquiry as soon as possible. We are located in Norwood, MA (Boston Metro) and Santa Clara, CA (San Francisco Bay Area). 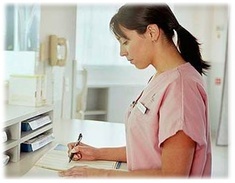 Focus markets for medical billing services, healthcare consulting, and practice management technology solutions include California, Connecticut, Florida, Maryland, Massachusetts, New York, Rhode Island, Texas, and Virginia. And, we are always exploring opportunities in new markets as part of our 50 State market strategy. ​Serving clients in California, Connecticut, Florida, Maryland, Massachusetts, New York, Rhode Island, Texas, Virginia, and more.